Remove dirt from shoes and wheels with no residue keeping construction areas and floors clean. Shields windows against dirt, grime, scratches, marks, and overspray of construction materials. Primary insulation for electrical wires and cables splices of not more than 600V. As a single source supplier, Electro Tape has the ability to furnish a wide range of pressure sensitive tape products to distributors in construction, industrial, and retail markets. 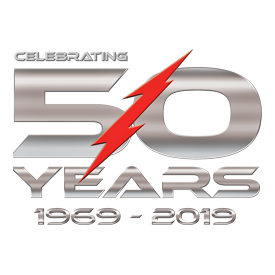 With nearly 50 years in the adhesive tape business, Electro Tape has the knowledge, experience, product mix and service to provide solutions to a wide range of industries. Click here for more info on our Flame Retardant Poly Tape! Purchase our high quality, un-vulcanized EPR rubber with first-rate self-amalgamating properties carried on a thick poly liner. Made in the USA! We are extremely grateful for the growth and success over the past 50 years! It is only possible because of your support and loyalty to our business. Thank You! Since 1969, Electro Tape has served as a single-source supplier for construction and industrial distributors throughout North America that demand the best selection of competitively priced, high-quality adhesive tapes. With thousands of SKUs in our Florida inventory and distribution centers located throughout the continental U.S., distributors can trust that we have all of the adhesive tape solutions they’ll need to meet the unique requirements of their customers and that we’ll be able to provide those products when they need it. With over forty-eight years in the adhesive tape business, Electro Tape has the knowledge, experience, product mix and service to provide solutions to a wide range of industries. At Electro Tape, offering distributors nationwide the widest selection of high-quality adhesive tape products isn’t the only way we distinguish ourselves from the competition. We are also known for our outstanding customer service. We have sales representatives throughout the United States who are familiar with the unique demands of the local market and can recommend the best products for certain geographical regions. We also have adhesive tape product experts who can provide tremendous support in identifying the best product for a specific application. If your primary customer base operates in the electrical, industrial or construction industry, you can turn to us for a wide range of adhesive tape products. From double-coated tapes with extremely high-bonds to safety tapes such as barricade tape, danger tape, and reinforced caution tape and much more. Electro Tape offers a wide range of tape products for a wide range of industries. These would include specialty electrical products like low-voltage and high-voltage rubber insulating tapes as well a variety of vinyl electrical tapes for general purpose applications up to premium grade vinyl that will meet the most demanding of temperature ranges. We also offer many options of commonly used tapes products like masking tape, duct tape, foil tape and much more. For distributors that primarily serve clients who perform construction or remodeling jobs, such as painting and flooring replacement, we offer a variety of surface protection solutions, such as stucco tape, painter’s masking tape, and window and floor protection products. We can even supply packaging solutions, including carton-sealing and strapping tape as well as all of the necessary dispensing equipment. At the heart of Electro Tape’s services is a commitment to providing our distributors with a cost-effective way to efficiently and successfully meet their clients’ unique tape demands, no matter how specific they may be. Just about all of the adhesive tape products that we offer can be customized. We can custom-slit to very specific non-standard widths for as little as a one case minimum. Similarly, we have the capacity to rewind many types of product to the specific length that you demand. And, we can even print custom legends or logos on some tapes as well as custom label rolls and boxes, providing the ability to customize products with your company’s brand. Furthermore, our minimum order requirements and freight pre-paid minimums are far smaller than that of major manufacturers or distributors, allowing you to purchase the products you need to meet the demands of your customers without being forced to buy more than is necessary. And, we offer exceptionally fast turnaround times with same- or next-day shipping available on most products. 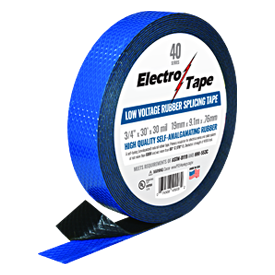 So, whether you need to replenish your stock of caution tape, window protection film, floor marking tape, or even customized solutions like wide-width electrical tape, Electro Tape is the partner that you can trust to keep you and your customers running smoothly. To learn more about the broad range of adhesive tape products that we can provide, contact Electro Tape today. We’ll be here to answer any pertinent questions you have and can assist in guiding you toward the tape product you need to meet the most demanding applications.